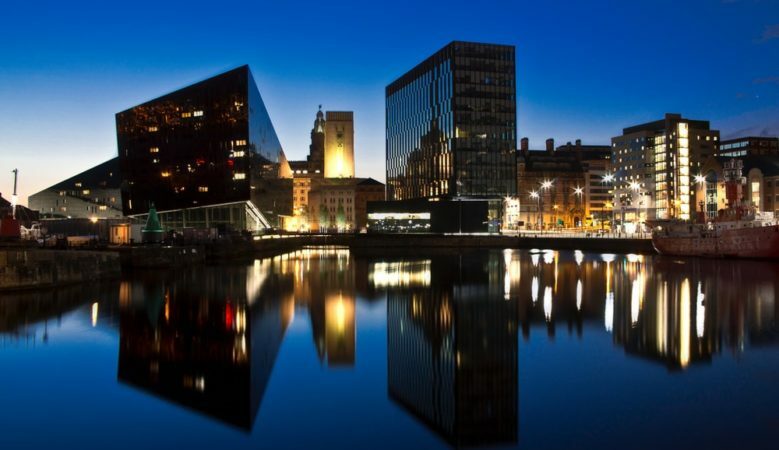 Liverpool is the UK’s top buy to let hotspot with a rental yield for landlords of 8% once mortgage costs are taken into account, new research has found. As housing and mortgage costs have the biggest influence on yields in the current market, the city takes the top spot as it has a combination of low average house prices at £122,283 and strong rents at £1,021 per month. Nottingham comes second with a rental yield of 5.6%, followed by Coventry at 5.4%, then Greater Manchester at 4.3% and Portsmouth at 4.2%, according to the analysis from Private Finance. The report points out that landlords have recently been hit by a raft of tax changes, including higher rates of stamp duty and restricted mortgage interest tax relief, making it more important than ever for buy to let investors to maximise rental yields to help cope with rising costs. Cardiff, Blackpool, Lincoln are next with rental yields of 3.9% each, then Bournemouth and Southampton make up the rest of the top 10 with rental yields of 3.8% and 3.7% respectively. Within the top 10 buy to let hotspots, average annual interest- only mortgage costs vary significantly from £5,940 in Blackpool to £13,548 in Bournemouth. Areas with higher housing and mortgage costs require greater levels of rental income to remain a viable choice for investors. Private Finance’s findings suggest house prices and mortgage costs can be more influential than rental income when assessing which locations provide the best rental yields. According to the research, which calculated rental yields in the 50 UK towns and cities with the highest proportion of private rental housing stock, six out of 10 of the areas with the lowest house prices are also in the top 10 list for best rental yields. Yet none of the locations with the top ten highest average rents are buy to let hotspots. Situated almost exclusively in London, these locations bring up to £5,000 in monthly rents but come associated with hefty purchase costs. The area with the highest average monthly rent is Kensington and Chelsea and where average house prices of £1.4 million and mortgage costs of £27,855 per year make it better suited to landlords who have large cash sums to contribute to an initial property investment alongside a mortgage. ‘It’s not only the residential property market that’s all about location, location, location. Many landlords will treat property as a long term investment, looking for reward in the form of capital gain,’ said Shaun Church, director of Private Finance. ‘Succeeding in making a long term profit depends on buying an affordable property and being confident its value will appreciate at a higher rate than mortgage borrowing. However, for more immediate returns, landlords can optimise rental yields by choosing their buy to let location carefully,’ he explained. ‘Investors should look for areas with strong rental demand. Larger cities and university towns generally have better performing rental markets. This will help to avoid lengthy void periods that can damage landlords’ profitability. They may also want to stay away from areas with very high house prices. Although these locations can provide high rental income, a large initial investment can prevent investors from achieving good returns,’ he pointed out. ‘When purchasing with a mortgage, landlords should keep in mind that the larger the loan, the higher their mortgage costs will be. Now that tax relief on mortgage interest is being restricted, keeping mortgage costs down is particularly important,’ he added. ‘The good news is all landlords are benefitting from ultra-low mortgage rates. An independent mortgage broker has access to products that might not be available if going it alone, and can help track down the most affordable and suitable option,’ he concluded.